The NASDAQ is attracting people's attention. The Microsoft is at its center. 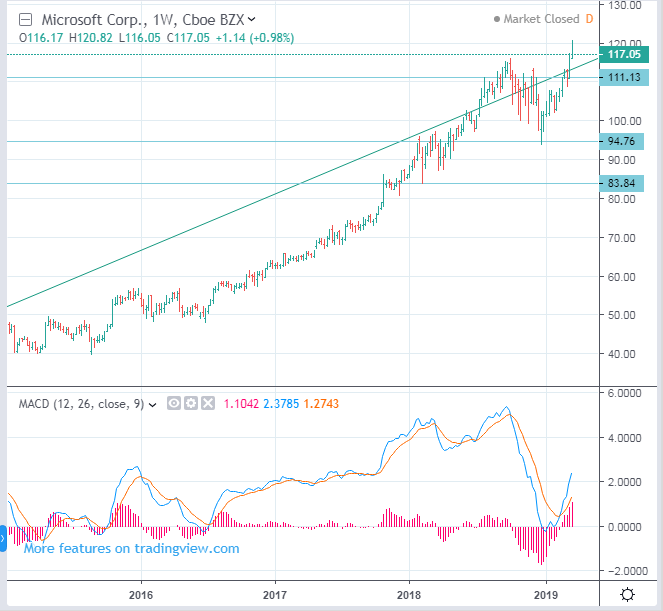 Microsoft stocks have not yet begun the downward trend. It is still on an upward trend. In the short term, they are likely to decline. I do not know whether it will fall to the lower of last December. It does not seem to be good for trading now. It may be better to watch outside the market until the stock market determines a new direction.